If you watch my You Tube videos you may have recently seen my first ever empties video. I promised to do a few reviews of products that I wanted to say more about despite some of them being around for some time. 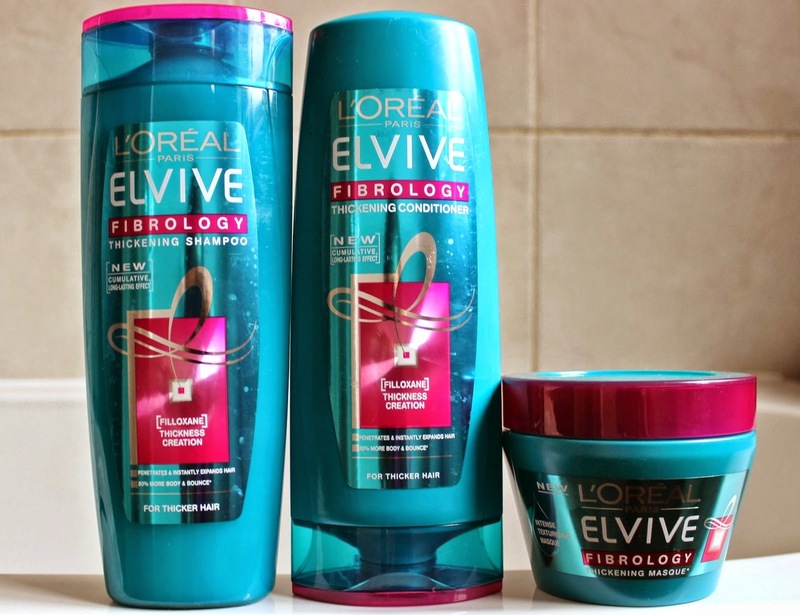 So today I will be reviewing 3 items from the L'Oreal Elvive Fibrology Hair care range. I have thin fly away hair so I tend to go for hair care products that will thicken, strengthen or give me volume. Even better if it can do all 3. So when the new thickening range came out from L'Oreal sometime last year I jumped on it. I have to admit at first I didn't like it. I am impatient and want my hair to look instantly awesome. Unfortunately the first few times I used this range I didn't felt like it did anything for my hair. In fact it left it quite lifeless. So I put it to the back of my toiletries cupboard and tried a different shampoo for a bit. I kept seeing awesome reviews about how great it was making peoples hair on other blogs until one blogger actually told me she had the same issue but kept using it for a week and then she started to see a difference. So I decided to at least see it through until the end of the bottle. 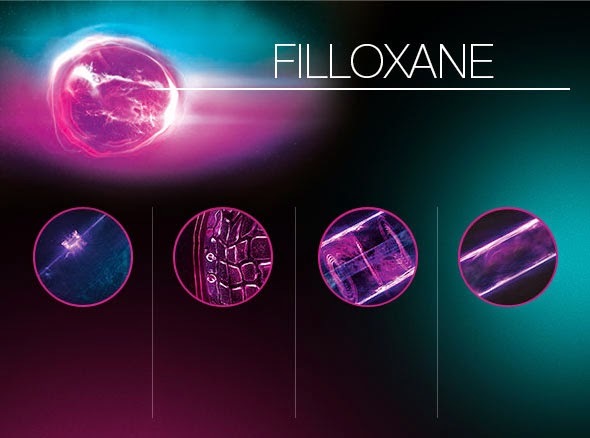 The claim is that L'Oreal are using fibrology science using filloxane to penetrate the hair and help expand it from the inside. Sounds crazy right? I am willing to give it a go though to get luscious locks. Like most shampoos they encourage you to use the whole range to see a difference. I love hair masks and try and use them weekly to fortnightly to help nourish my hair. So to do it properly I picked up the masque too. The smell is beautiful really clean but with a floral hint and the masque is so thick and luxurious it felt like a real treat for my hair. In fact the whole range smells lovely but I discovered that the conditioner needs to be used sparingly and then the hair is left bouncy rather than lank. After about a week I found that I did start to see a little difference so persevered and then by time I was sing the range regularly my hair was in fact looking thicker and healthier. OK I didn't have J Lo hair but then lets be realistic. I would recommend this if you are worried about thinning hair but really do stick with it. Have you used the fibrology range? I need to try this, my hair is fine and flyaway too so this would be great for my hair. Oooh, interesting. I have just undergone awfull cancer treatment, and that thins and dulls and breaks the hair so easily, so I might have a PERSISTANT try with this to see if it helps my hair get back to its former self. Thanks for being truthfull and real!